You'll soon see why visitors love Raymond Island - one of the few Australian places where you start your visit with a ferry ride. 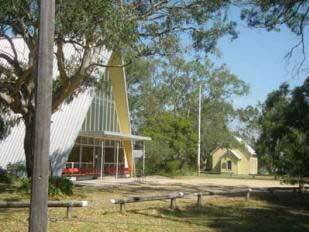 You can bring your car or leave it at Paynesville - pedestrians and cyclists travel free. Once on our Island you can really relax and spend some leisurely time exploring. Look up in the trees and you'll even find our koalas. Find you way around the Island with the interactive map on our main web site. 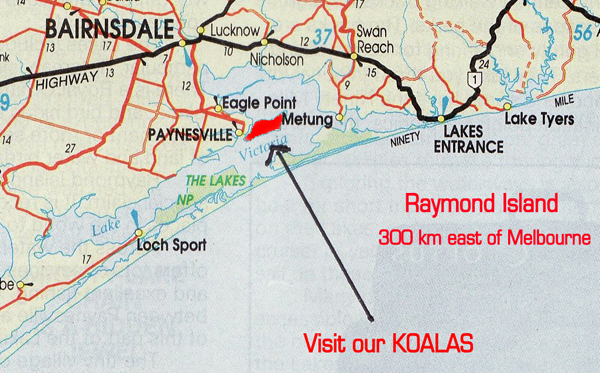 Situated in the Gippsland Lakes, Raymond Island is 243 km east of Melbourne on the Princes Highway, and 18 km south-east of Bairnsdale, following the Bairnsdale - Paynesville Road. It is a 4 hour drive from Melbourne, and 6 hours from Canberra. Bring a picnic and your camera and explore further afield. Enjoy the safe swimming beaches and cycle or walk along the Island's roads and tracks. 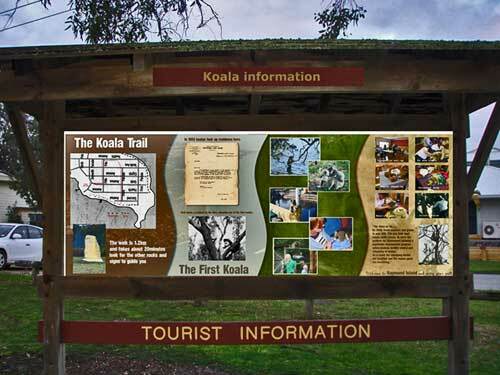 Look for Ride the Koalas surrey bike hire in the ferry park on school and public holidays. Camping is not permitted on the Island's public land but plenty of holiday houses are available for rental or longer. The closest shops are located at Paynesville. Relax at the Ferry Park with its amenities (toilets, BBQs, picnic tables, children’s playground), dry creek bed garden and visitor information. 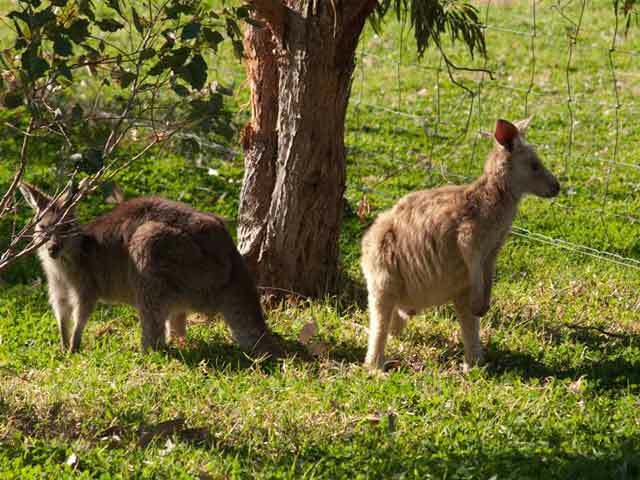 You can see koalas, kangaroos, echidnas, many different birds - and you might even see dolphins in the McMillan Strait. If driving, please drive slowly and be watchful. If you bring your dog, please keep it on a lead and use litter bags (available at the ferry park). Raymond Island is accessible by foot or bicycle (for free) or by car (for a small fee) on the regular ferry service from Paynesville. For sailors, there are 2 public jetties on the McMillan Strait side of the island - Raymond Island jetty, just north of the ferry, and Steamer Landing at the Island's northern end. Resides jetty, on the Island's east side, is also a public jetty.